Ingersoll Rand, which owns Schlage, Trane, American Standard, and a number of other well-known brands, was an early player in the electronic home-control market. Back in 2010, the company offered DIY kits (under the Schlage LiNK brand) that included an entry lock with an electronic keypad. More recently, it has rebooted its efforts and given the product a new name: Nexia Home Intelligence. 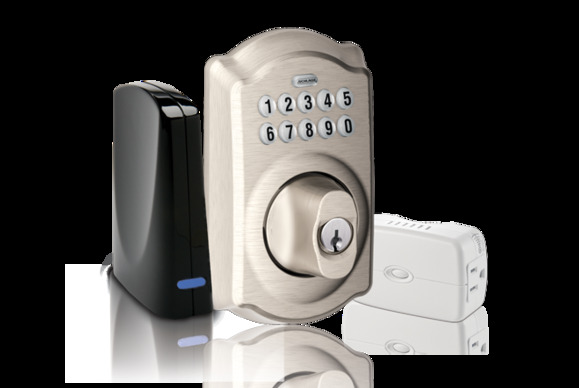 With its Schlage division now shipping its second generation of electronic entry locks, I decided to take a fresh look at its home-control system. Like the Lowes Iris system I reviewed last August, Nexia Home Intelligence is entirely self-monitored with a supposedly optional monthly subscription fee for remote access and programming. I say “supposedly” because neither system is of much use if you can’t manage it via the cloud from a PC, tablet, or smartphone. A Nexia subscription costs $9 per month (or $99 per year). Lowes offers a basic service for free (you can remotely change the thermostat, turn lights on and off, and lock and unlock doors—but that’s about it); the company’s Iris Premium service costs $10 per month. The Nexia Home Intelligence home-security starter kit, $299, consists of a Z-Wave-to-ethernet bridge, a keypad deadbolt, and a small-appliance module. You can purchase various Nexia starter packs, all of which include a Z-Wave-to-ethernet bridge, and then add other components to expand the system’s capabilities. The company sent me its $299 Home Security Kit (which consists of a Z-Wave bridge, a Z-Wave appliance module, and its original keypad deadbolt) to review. The comparably priced Iris Smart Kit from Lowes includes a bridge, a numeric keypad with a local alarm, a thermostat, a motion detector, a Z-Wave lamp module, two door/window sensors, and a Z-Wave range extender, but no entry lock (though you can add locks from various manufacturers, including Schlage). Nexia Home Intelligence is a better home-control system than it is a home-security system. To augment its starter kit, the company sent me a door/window sensor ($40) and its new touchscreen deadbolt ($200), and I added a wireless indoor camera ($179) left over from an earlier review of the older LiNK system (aside from firmware updates, the camera hasn’t changed since its introduction). Schlage's new touchscreen deadbolt, $200, features a motorized bolt. 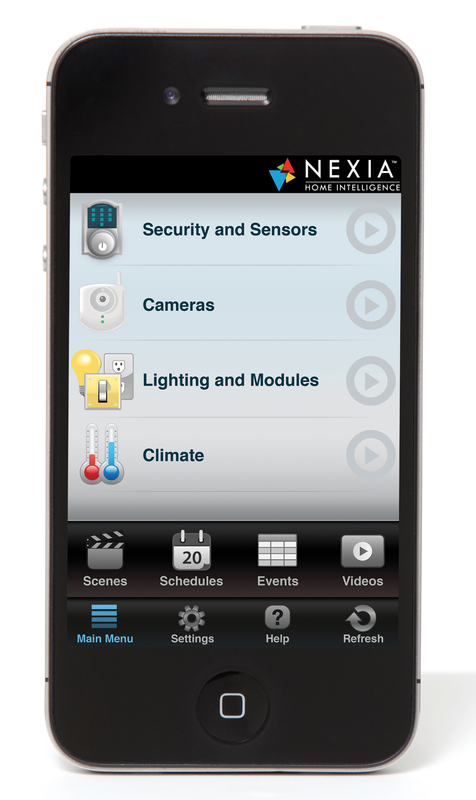 Other components available for the Nexia system include several types of programmable thermostats, motion sensors, lever entry locks, plug-in dimmer modules for lamps, and an outdoor camera with infrared night vision. (I did not evaluate any of these components.) This online chart lists other manufacturers’ compatible Z-Wave, including lighting controls from Cooper, Jasco, and Leviton; door/window sensors from BTX and Hawking; and remote controls from several companies. Installing the Nexia system isn’t quite as easy as setting up the dead-simple Lowes Iris system, but it certainly doesn’t require any special technological prowess. If you don’t want to bother with installing it, you can hire a certified installer. Detailed printed instructions are provided for installing the deadbolts—and once you create a Nexia account, an online tutorial steps you through the process of enrolling each device into the bridge. This process is a bit tedious because the tutorial has you disconnect the bridge from your network and from its power adapter, plug in its 9-volt battery, enroll the device, remove the battery, and then restore the wired connections one by one. The bridge’s ability to run on battery power makes enrolling devices such as door locks much easier, because you can take the bridge to each device. 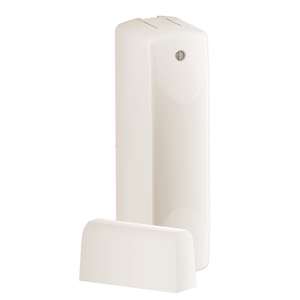 Z-Wave transmitters are low-power devices by design, so the bridge must be within fairly close proximity to a lock, sensor, or lighting control in order to enroll it. If you have a large a Z-Wave network, as I do, you can choose to enroll all of your hardware (one device at a time) and then upload the entire routing table to the cloud at once. The original keypad deadbolt ($200 if purchased separately) is attractive, with ten illuminated number buttons. I much prefer this design to locks that assign two numbers to each button, but since the lock doesn’t have a motorized bolt, you must enter the code to activate it and then twist its knob to withdraw or insert the bolt. You can assign up to 19 four-digit user codes, establish recurring codes to grant access only during a time window (a useful feature for admitting a housekeeping service, for instance), and create one-time-use codes (handy if you need to let a plumber or other professional into your home, but you can’t be there to open the door in person). 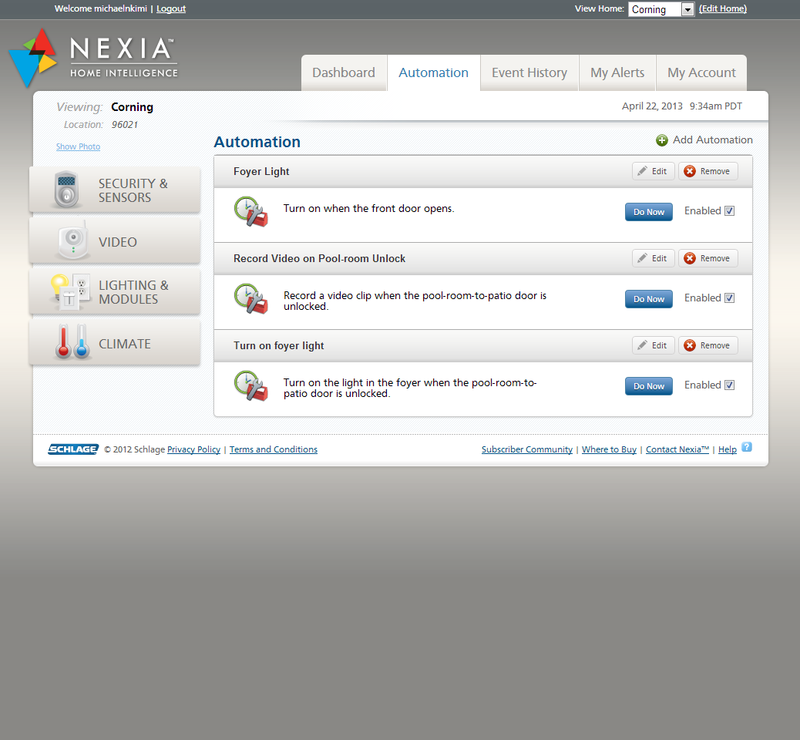 You can also remotely grant someone access by logging into your Nexia account and sending a command via the Internet. If you have one or more cameras, you can monitor what your guest is doing while inside. The chief benefit of not having a motorized bolt is longer battery life. The main drawback is that the deadbolt can’t lock itself, so you must rely on your approved visitors to twist the knob to lock the door when they leave. You can monitor the lock’s status (locked or unlocked) and the state of its battery from the Web portal, but you can’t lock it remotely. 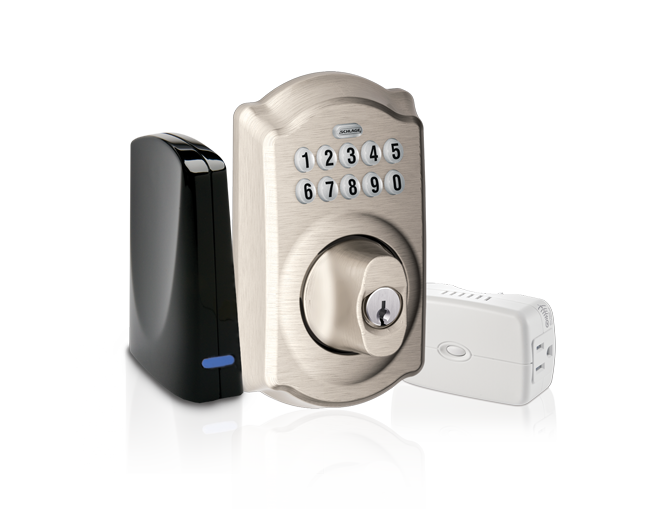 Should the battery die, you can lock and unlock the deadbolt with a key (two are provided). 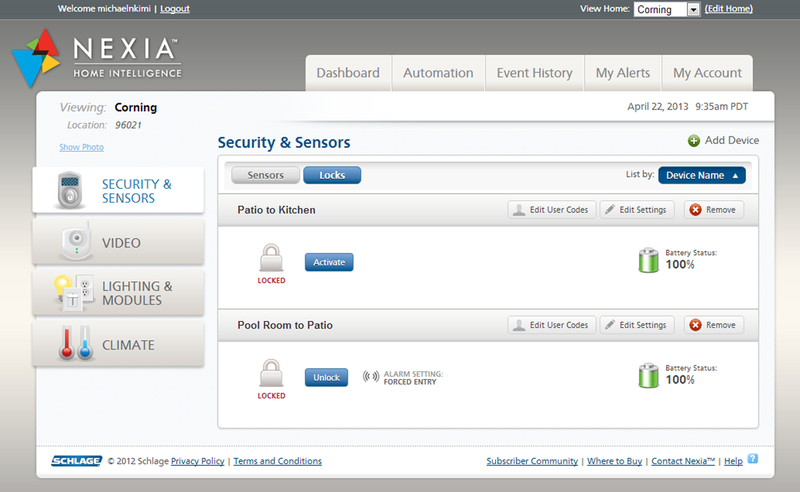 You can check the status of Schlage's locks from the Nexia Web portal or by using one of its mobile apps. 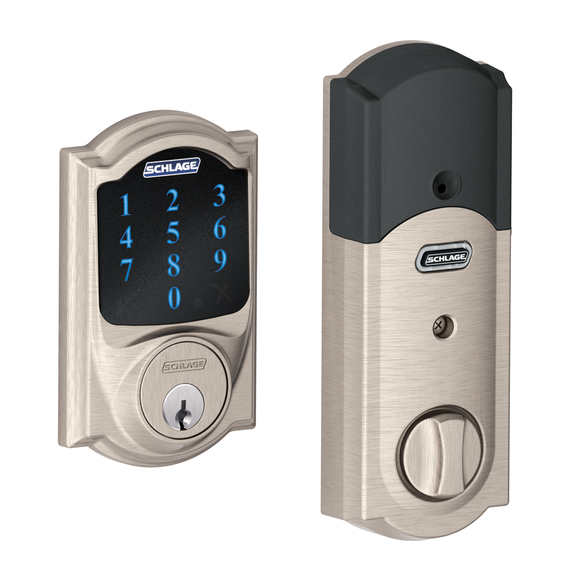 Schlage’s new Touchscreen Deadbolt with Built-in Alarm (also $200) is available in two styles: the traditional-looking Camelot, and the more modern-style Century. Both have a smudge-proof, backlit membrane touchscreen with ten digits, and a tapered, motorized bolt that you can program to lock the door automatically after someone opens it. A tapered bolt is preferable because it’s more forgiving of slightly misaligned doors. I don’t know how tough the lock’s membrane is, but I would venture to guess that it wouldn’t stand up to the punishment that the touchscreen on Yale’s Real Living locks can take (Yale produced a video showing its lock withstanding the heat from a blowtorch). Yale’s Real Living locks, however, cost $275—much more than Schlage’s. A programmable sensor on the new Schlage lock can sound a local alarm and send a message to the Nexia bridge if the lock is tampered with. 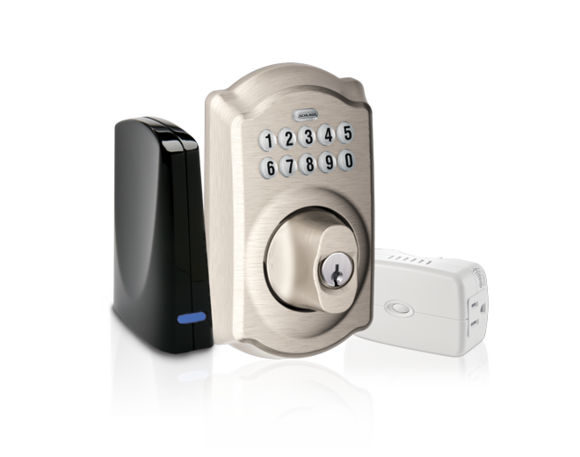 The new models support up to 30 user codes (consisting of four to eight digits each); and like the older deadbolt, they are openable with a key. Disappointingly, though, the new locks comes with just one key. I didn’t have an opportunity to review Schlage’s new outdoor video camera, but the indoor model seems expensive considering that it has neither a motion sensor nor LED illumination for night viewing. You can program the camera to record clips in response to other system events, such as when the door/window sensor is triggered, when someone enters a code to unlock the deadbolt, or when the stand-alone motion sensor is activated. You can also link devices to the camera and control them while you’re viewing a video stream. If you want to let someone into your home while you’re away, for example, you can link the camera to the deadbolt and activate the lock while you’re watching the door. Another option is to link a lighting module to the camera and turn the light on if the room is too dark to see. I wish that my Vivint home-control system had this feature. (Instead, to turn on a light, I must exit the video stream, turn on the light, and then navigate back to the video). A basic Nexia service plan includes 75MB of online video storage and 4 hours of playback time per month. You can also download video clips to local storage, which is useful if you need to provide forensic evidence to law enforcement in the event of a break-in or to help officers investigate other criminal activity that your cameras have recorded. Though the system logs the date and time of each video clip it records, it doesn’t stamp this information on the video itself. If you need more storage, Optional service plans with 250MB of video storage are available for an additional $3 per month, or 1GB of video storage for an additional $5 per month. Both of those plans include 5 hours of playback time. I've seen much smaller door/window sensors. The active half of Schlage’s door/window sensor ($40 street) isn’t the biggest I’ve ever seen, but it’s surprisingly large for a modern device. Both brown and white shells are provided to help blend it into your décor. The system can generate an email or text message when a sensor is activated, and open and close events can trigger system events, such as turning on a light or activating the video camera to record a clip. You can see their current state when you log in to your Nexia account. The Nexia Home Intelligence Web portal lists your home-control devices (including ones you might not have set up) in a column on the left. An array of tabs for other user-interface screens appear across the top. The dashboard displays a photo of your home (which is handy if you have a vacation home or properties that you rent) and a log of recent system events. You create home-control rules in the Automation tab. The rules use the logic of “if this happens, do this, and then do that N number of minutes later.” Each step can have multiple triggers for multiple devices, and you can link them to specific times or time periods. I created a rule that if the door/window sensor mounted on my front door is opened after sunset on any day, the camera will record a 15-second clip and the appliance module will turn on the lamp in my foyer. The door will lock itself 30 seconds later, and the lamp will turn off 5 minutes later. Automation rules can have multiple conditions. You can also program the thermostat to heat or cool your house, so that it’s at a comfortable temperature when you’re home without wasting energy while you’re away. And you can schedule lights to turn on and off according to a schedule, to make your home look occupied while you’re on vacation. Hats off to Schlage for its robust mobile device support. There are Nexia apps for nearly every mobile platform, including Android (separate apps for phones and tablets), iOS (separate apps for iPhone and iPad), BlackBerry, and even Oracle’s J2ME (Java Platform, Micro Edition). You can program the system to send alerts via email and/or text message to multiple email address and phone numbers, to ensure that you’ll receive notification when a sensor is triggered, a door is unlocked, the camera records a video clip, or one of your automation sequences is executed. But the system won’t notify you when expected events don’t happen. Such “nonevent events” are useful because they can warn you when something didn’t happen that should have. For example, if you expect your child to arrive home from school no later than 3:30 p.m., and none of your monitored entry doors are opened before that time, the system should alert you that your child hasn’t come home by the appointed hour. Nexia Home Intelligence is a better home-control system than it is a home-security system, I think that the Lowes Iris is slightly better in that respect. Neither company includes smoke, fire, or carbon monoxide sensors in its product line, however; and because neither uses a central office for monitoring, the companies can’t dispatch first responders in the event of a break-in or an emergency. As a result, your insurance company is unlikely to offer you a discount for installing either system in your home. And since Nexia relies on your broadband Internet service to send you alerts, a burglar can easily defeat the system by severing your telephone line or coaxial cable (if your ISP is a cable-TV service provider) before entering your home. Lowes recently added cellular support to its Iris service as either a $5-per-month backup plan if your broadband service fails, or as $10-per-month primary connection if you don’t have other broadband service. Lowes limits you to 5MB of data on the first plan, and 20MB on the second. Service providers such as ADT, FrontPoint Security, and Vivint include both cellular connections and central-office monitoring with their offerings, but they charge anywhere from $40 to $70 per month. If you’re interested in home control, Nexia is a good choice—but Iris is better. If you want to avoid the monthly fees that both of those services charge, consider a system from Mi Casa Verde. I’ll have a review of one of that company’s controllers in the near future. Editor's note: This story was updated to reflect that Nexia Home Intelligence and Schlage are both brands owned by Ingersol Rand. 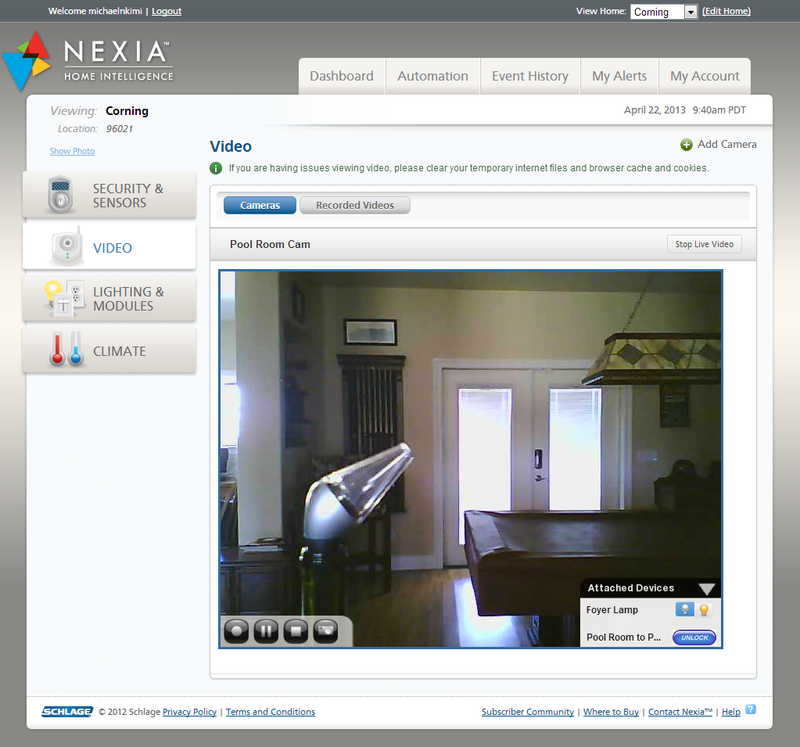 Nexia Home Intelligence is a good home-control system, but consumers looking for home security should consider systems that are monitored by a central office.